Access resources to learn about Lightning Experience. Identify an executive sponsor, stakeholders, and super users. Educate your company about Lightning Experience with presentations and demos. Conduct a gap analysis to determine which teams will use Lightning Experience. Welcome! Lightning Experience is a new user experience designed to help your sales reps sell faster and smarter. With the launch of Lightning Experience, we focused on your sales reps with a re-envisioned desktop experience to support your sales process. The result is a more productive interface designed to support how sales reps work on a daily basis. Although we started with sales, Lightning Experience doesn’t end there. Besides transforming Salesforce CRM, Lightning Experience extends to service, apps, platform, and more. Lightning Experience is available for new and existing Salesforce customers. Whether you’re a new customer, or you’re an existing customer still evaluating the features and the level of effort to enable Lightning Experience for users, this module will help you plan your rollout strategy from start to finish. And developing a strategy is important for any project you undertake with Salesforce. Paying close attention to how your users will transition to the new experience will increase adoption and boost success. Make no mistake, you play a critical role in this process. As a Salesforce administrator, you are more than just a builder of reports, a creator of fields, or a resetter of passwords. You are, in fact, your company’s trusted advisor for Salesforce. And when it comes to Lightning Experience, your company’s rollout strategy starts with you. Rolling out a project is a lot like putting on a great show. You have to plan it, market it, communicate about it, and execute it. And then the reviews come in. You want rave reviews, which is why you sometimes do previews to work out the kinks before you take your show to the big stage. As the Salesforce admin, you’re the Director of the show. You make it awesome. For the show we’re organizing right now (“Lightning Experience Rollout: The Musical,” anyone? ), you’ll find an executive sponsor and get stakeholders aligned on the value of switching to Lightning Experience, then you’ll plan your rollout. You’ll decide whether to start with a pilot for a set of users (like a preview) or go big and enable for all users at once (head straight to Broadway). And then you’ll put on the show. Depending on the size of your organization, you might have a Project Manager assigned to the rollout, or you may be working with a Change Management department at your company. Or you could be charged with organizing and executing the rollout from start to finish. Regardless, your role in getting Lightning Experience live is critical, and it starts with learning everything you can about the new interface. Already got the badges, but want a quick reminder of the top features? Here’s a top features chart for Lightning Experience. Home Start the day on the new, intelligent home page. Monitor performance to goal, and get news on key accounts. Stay on track by seeing exactly what needs doing in the Assistant. Opportunity Workspace Drive the right behaviors at every stage of your sales process from this action-optimized workspace. Reps work their deals more efficiently using the handy composer to quickly log calls, create tasks, send emails, and more. Path Guide reps along the steps of a process, such as working an opportunity from a fresh lead to closing a deal. At each step, help your team succeed with specific guidance and resources. Activity Timeline and Task List See open tasks, planned meetings, and accomplishments in the activity timeline on each opportunity, lead, account, and contact. Or use the task list to see details about specific tasks alongside the full list of open tasks, tasks due today, and closed tasks. Managers see tasks assigned to people below them in the role hierarchy. File Preview Player Enjoy a richer file preview experience that doesn’t require Adobe Flash Player. Vector-based preview images render in higher quality and don’t degrade on high-resolution screens, plus they load faster. Scroll through multi-page documents, preview animated GIFs, give full-screen presentations, and access file actions. Live Feeds See real-time posts in group feeds and real-time comments in all feeds without refreshing the page. See who’s commenting while they’re typing. Streams Easily track related information in one place when you combine up to 25 feeds into one super-feed. Create up to 100 streams. Post Pinning Pin as many as three posts to the top of group and topics feeds. Highlight high-impact posts that otherwise get buried in a busy feed. Reports and Dashboards Get more from your data. The report run page is easy to read and filter. Animated, interactive charts bring your company’s data to life. And a new dashboard editor supports flexible layouts and components that span columns and rows. Themes and Branding Rally your team around your brand and important initiatives, such as a new product launch, with a set of custom brand images and colors. Personalized Navigation Supercharge your productivity by personalizing the Lightning Experience navigation bar to suit the way you work. Reorder and add navigation items, such as a frequently used dashboard or list, to the navigation bar. Lightning Apps Easily switch between collections of related objects, Visualforce and Lightning pages, and utilities such as Lightning Dialer. Customize the branding of each app with logos and color. Lightning Console Apps Navigate and work more productively with optimized workflows and a three-column layout. View and edit multiple records at the same time and quickly access utilities such as Lightning Dialer and Open CTI. Setup Tree and Object Manager Navigate setup pages with a simplified organization and a cleaner look and feel. Use the Object Manager, which combines all standard and custom objects into a single list that’s easier to search. Service Setup Flows Get up and running quickly using the Lightning Service Console, which includes service-specific setup flows. These flows walk you through setting up Email-to-Case, integrating with Twitter and Facebook, creating a Lightning Community, and enabling Lightning Knowledge, Omni-Channel, and Live Agent. Lightning Flow for Service Guide your users through multi-step processes and associate flows with records using Salesforce automation tools. When opening records with associated flows, the flows launch either as a subtab in console apps or as a pop-up window in standard navigation apps. It takes a team to roll out any Salesforce project, and there’s no better time to involve your team than right at the beginning. Identify key stakeholders at your company from across all affected departments and form a steering committee, helmed by an executive sponsor who is invested in Salesforce. This step is critical. Whether you’ve already committed to rolling out Lightning Experience or you’re still evaluating features, you need executive support to ensure you’ve got resources and alignment to succeed. In addition, you need the right people from across the company to join your project team, to ensure that every department has their needs met. When you’ve identified an executive sponsor and your stakeholders, involve them in your project early and often, sharing everything you’ve learned about Lightning Experience with them. With your new project team, and a clear understanding of the benefits you’ll get from Lightning Experience, you’re ready to evaluate your business and technical readiness for Lightning Experience. What are the opportunities to streamline your current business process by harnassing Lightning Experience features? 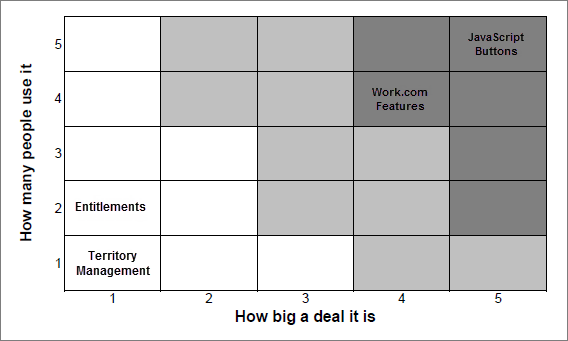 How well will your org’s features and customizations work as-is in the new interface? How much work is actually required before you can make the switch? Time to find out! It’s natural to be thinking about how you can take your existing business process and make it work in the new user experience. But sometimes revisiting a process and improving it is a better next step. In other words, maybe “the way we’ve always done it” isn’t the best path forward. More than just a new interface, Lightning Experience re-imagines how you manage your business. As trusted advisor, you can help your users see that updating their process to adopt new features and paradigms in Lightning Experience can actually make them more productive. And if you’ve been a Salesforce customer for a long time, no doubt your business has evolved and changed. This is a great opportunity to re-evaluate what your users need and align your Lightning Experience implementation with those needs. Ask directly, “Can we change the way we do it?” The value proposition of new, improved functionality might be worth updating an existing process. Walk key members of your sales teams and super users through Lightning Experience features, showing them how easy they are, how they work, and why they’re helpful. Above all, work with your executive sponsor to drive the right behaviors from the top down. Performing a gap analysis is where you get into the nitty gritty details of how your current Salesforce implementation will work when you move to Lightning Experience. Of all the steps for your rollout, this one is probably the most critical because it helps you know what changes or workarounds you might need to put in place. You may even be delighted to learn that you’re ready for Lightning Experience now! Luckily, we have the perfect tool to make light work of this analysis. Meet the Lightning Experience Readiness Check! 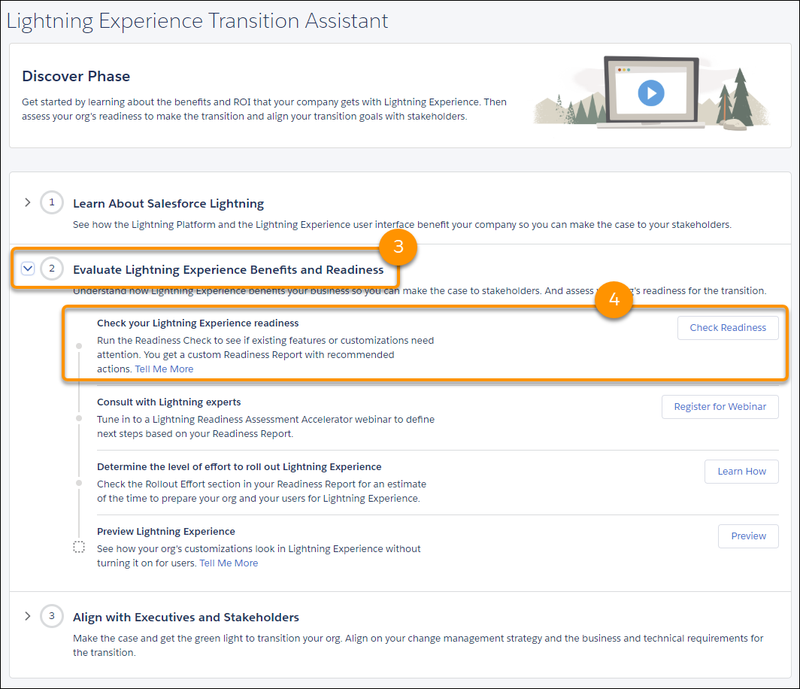 Access the Readiness Check from the Lightning Experience Transition Assistant. After you kick off the Readiness Check, Salesforce generates a PDF Readiness Report and emails it to you. Salesforce also saves the report to Salesforce Files. Review your personalized Readiness Report for advice and recommendations about how to get ready for Lightning Experience. Use the findings in your report to identify the work that should happen before you launch a pilot, updates that can happen in a later phase of your rollout, and the users who are good candidates for your pilot group. If you like, you can join a free group session with Lightning experts to learn about next steps and ask questions. The Readiness Check doesn’t analyze all Salesforce features and customizations. To help evaluate things not covered by the Readiness Check, we’ve included a sample gap analysis checklist in the enablement pack. It highlights many of the areas you should investigate when conducting your gap analysis. Think about the things that happen when you move to a new house. You plan for improvements at the new place. You donate stuff you don’t use anymore instead of packing it up. Maybe you get a new sofa that fits better in the new space. It’s just like that when planning your org’s move to Lightning Experience! This is a great opportunity to evaluate the effectiveness of your org’s features and customizations instead of simply moving everything as-is to the new interface. 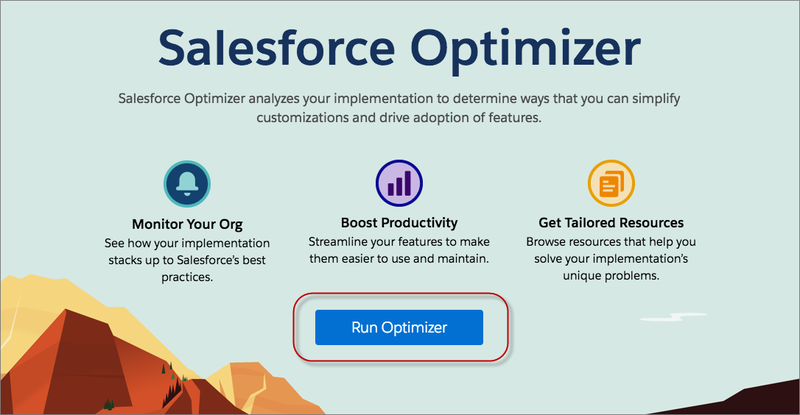 To get started without any heavy lifting required, take a gander at Salesforce Optimizer. The tool identifies things you can simplify, improve, or leave behind when transitioning to Lightning Experience—so you know where to concentrate your time and resources. Optimizer generates a report that’s specific to your implementation, uploads it as a file, and emails it as an attachment to the admin who runs the report. The report provides recommendations to improve feature use, clean up customizations, and reduce complexity. Some of the features that Optimizer evaluates include Apex triggers, fields, profiles, record types, and validation rules. For the complete skinny, take a look at Which Features Does Optimizer Evaluate? in the Salesforce Help. The Optimizer report provides recommendations that can make your move to Lightning Experience more efficient. Here are just a few examples. Page layouts are displayed differently in Lightning Experience than they are in Salesforce Classic. The more page layouts you have to manage, the more work you have to do to make sure they all display properly in the new interface. The Optimizer report identifies page layouts that aren’t being used in your implementation, so you can delete them before you transition to Lightning Experience. Hard-coded links in your implementation will likely break in Lightning Experience. The Optimizer report tracks down any hard-coded URLs that are lurking in your org and flags them for you. Replace them with My Domain links, which won’t break when you turn on Lightning Experience. Older web browsers aren’t supported by Lightning Experience. 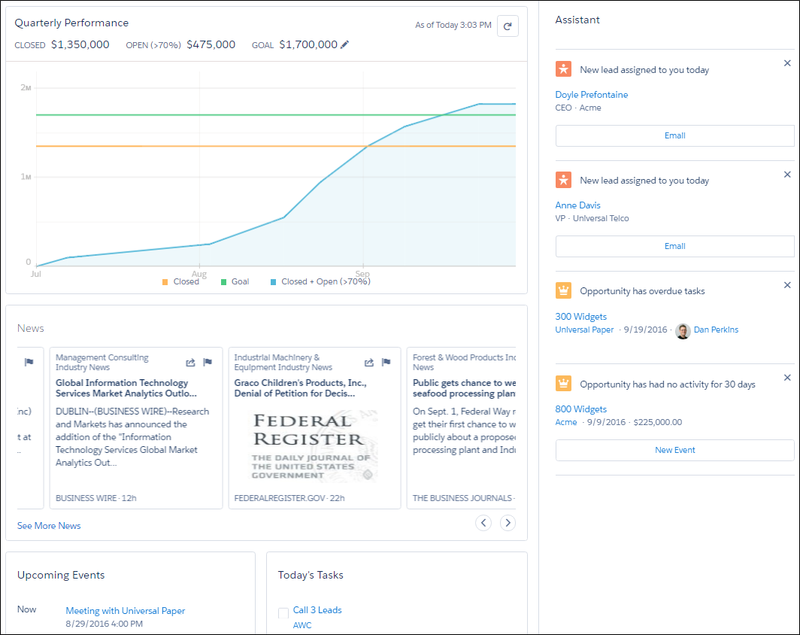 The Optimizer report lists users who access Salesforce from unsupported browsers so you can help them update to a supported version. Lightning Experience includes many productivity-enhancing features that aren’t available in Salesforce Classic. The Optimizer report recommends Lightning Experience-only features that your users may benefit from, such as the Lightning Sales or Service Consoles. Then kick your feet up and relax while Optimizer gets to work generating your report. Depending on the size of your implementation, the Optimizer report takes from a few minutes to several hours to run. When it’s ready, you get a copy in email and a copy is saved to Salesforce Files. 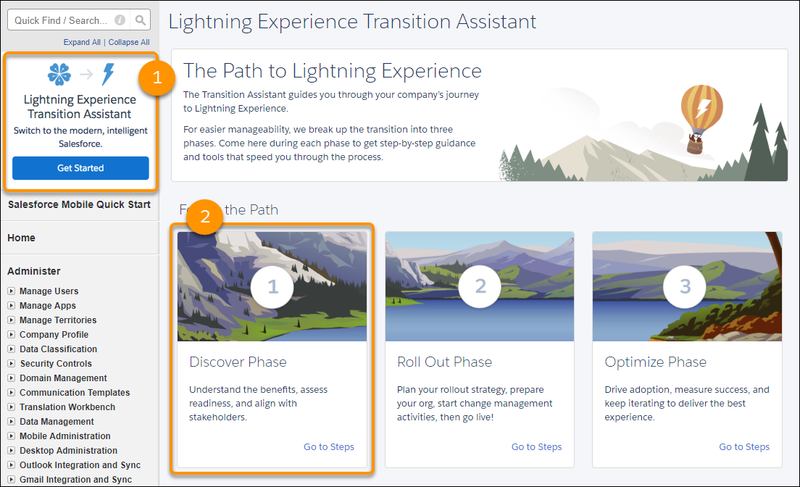 One of the best ways to evaluate how your org’s features and customizations work in Lightning Experience is to get some hands-on experience in the new interface. If you’d like to try out Lightning Experience before you enable it in your production org, you’ve got options. Use the Preview tool that’s available from the Lightning Experience Transition Assistant. Preview lets you explore your production org in Lightning Experience without actually enabling the new interface. You can see exactly how your real data and your current customizations work. You can even change data, settings, permissions—you name it. But remember that because you’re working in your live org, changes you make are for real and can impact your users back in Salesforce Classic. See Preview Your Org in Lightning Experience for details. If you have a sandbox, that’s the ideal place to enable the new interface and play around with settings and customizations in earnest. For steps to enable Lightning Experience, see How to Enable Lightning Experience. Don’t have a sandbox? Get a free Developer Edition or Admin Playground and enable Lightning Experience to give it a test drive. After you conduct your gap analysis, assess the impact. This is one of those areas where it pays to have a team! Work with your stakeholders to identify the severity of each gap. You can use several methodologies when assessing impact, including assigning a numeric value to each gap, or plotting the gaps on a simple chart. When you’re finishing assessing the impact of each gap, you’re ready to present your findings to the entire steering committee and your executive sponsor. This meeting is where you showcase all the benefits of Lightning Experience, and highlight the gaps you’ve found. Come prepared to advise when you think your company should move to Lightning Experience, the amount of time and resources required for the move, and your proposed launch date. One of the most important questions your executive sponsor and stakeholders will have is, “How will Lightning Experience help my team sell more?” So start your presentation by showcasing the benefits of Lightning Experience. To help you share Lightning Experience with your company, get the presentation deck in this enablement pack, which highlights features and benefits. If you’re an existing Salesforce customer, explain if any features that are important to your company aren’t available in Lightning Experience today. Your stakeholders can use this information to make an educated decision on when to enable the new interface for your different groups of users. In addition to sharing the presentation, consider providing a demonstration for your team. As your company’s trusted advisor, one of the best ways to educate your company on Lightning Experience is to demo it. Make sure what you demo has data Make sure you’ve got sample records for all the features you demo. Tell your user’s stories when you showcase the app Use your sales team’s real life examples as the stories to drive your demo. For example, consider adding their photos to the user profiles. Practice makes perfect Run through your demo in advance to make sure you’re ready, and to practice the flow of how you’ll demo features. Record your demo! If you record your demo, you can easily share it with people who couldn’t attend in person. The recording can also be a great training asset later! When you get the green light to proceed, get started on the next steps right away. Executing on a project is as much about preparing your users for the new experience as it is about the technical steps to implement. In the next unit, we’ll help you craft a rollout strategy and then execute it in style. It’s time to go live with greatness! Video: Ready for Lightning Experience?